Sunday night is movie time in the house and what is better than pop corn when watching a good movie ? Belgium people will answer ‘Oufti’. But what is that ? Oufti means many things in Belgium. It is a small word used to express many feelings such as surprise, anger, admiration etc. ‘Oufti, it looks nice’, ‘Oufti, he annoys me’ But Oufti is also the name of frozen fruits bites covered with chocolate. It exists in many flavour: banana, strawberry, apple etc. You can buy them from the supermarket or in cinema. I know I am French so maybe you are asking why I am sharing Belgium recipes and stories. 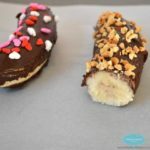 Well, first because my husband lived few years in Belgium when he was young so he told me about those frozen banana covered with dark chocolate that he loved to eat in cinema. Then because I lived 3 years in North of France – Lille city- which is only 30 minutes driving distance from the Belgium border. So I have been used to cross the border for a week end and to enjoy Belgium culture : beer, chocolate, fries etc. We speak the same language or almost. To give you an idea the difference is similar to Kiwi-English and Aussie-English. So as New Zealand and Australian people we have got stupid jokes between countries. 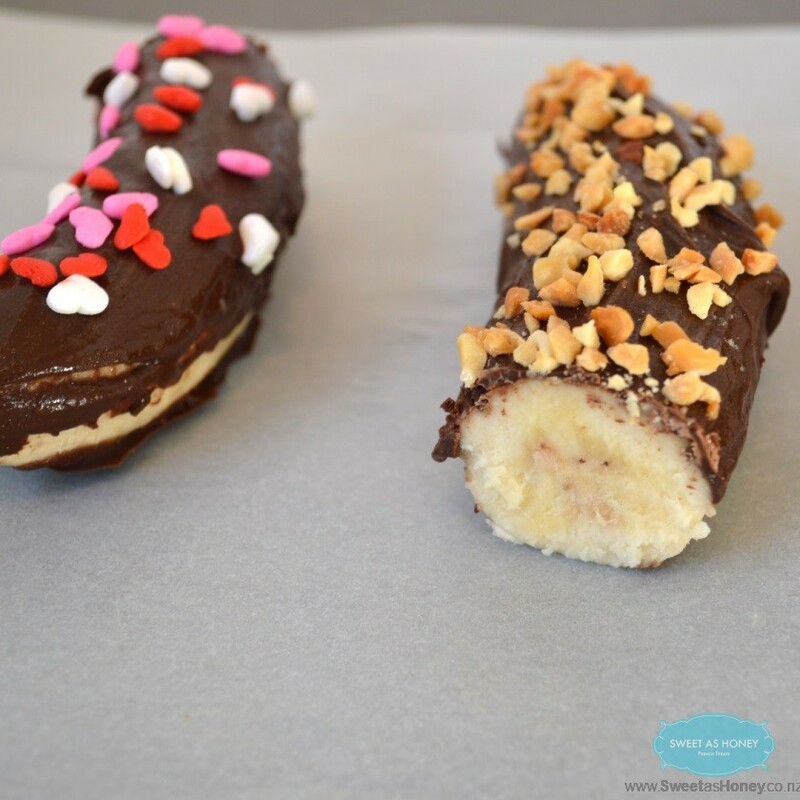 Frozen bananas covered with chocolate and decorated with peanuts, coconut etc. Put the raw banana in the freezer for 5 minutes. Lay down the banana on baking paper. 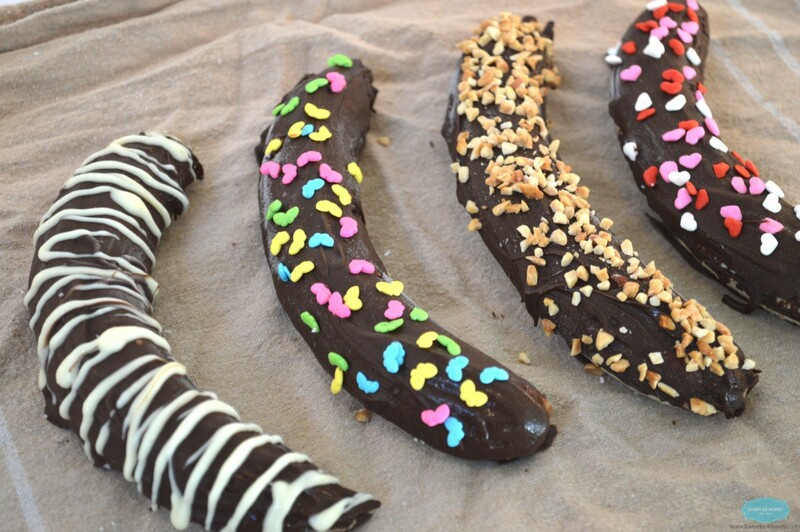 With a pastry brush cover the banana with melted chocolate. Place in the freezer for 12 hours before eating.